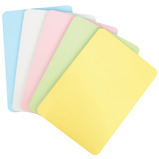 An assorted pack of A4 pastel coloured whiteboards, ideal as a learning resource to support pupils with special needs/dyslexia. The best selling original Show-me® board. 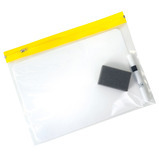 Available in hardwearing high gloss plastic, they are virtually indestructible - ideal for individual pupil use. Original Show-me® squared board. 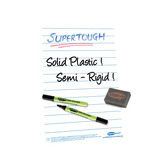 Available in hardwearing high gloss plastic, they are virtually indestructible - ideal for individual pupil use. 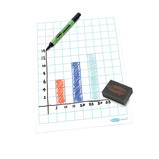 One side printed light-blue 20mm squares ideal for number and character formation, graphs, charts, shapes and diagrams. 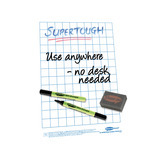 Show-me® high quality magnetic drywipe boards are ideal for portable use or if no desk surface is available. 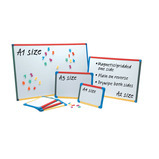 Larger sizes such as A3 are great for creating mind maps, enabling pupils to work together or separately to develop their ideas and draft their plans. 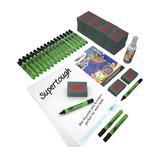 The SUPERTOUGH Show-me® lined board is 85% thicker than the Original Show-me® board. 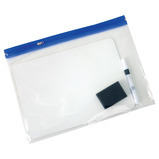 A semi rigid solid plastic board, virtually indestructible. 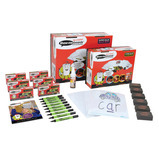 Ideal for individual pupil use, can be used outside. One side printed light-blue lines at 20mm intervals.